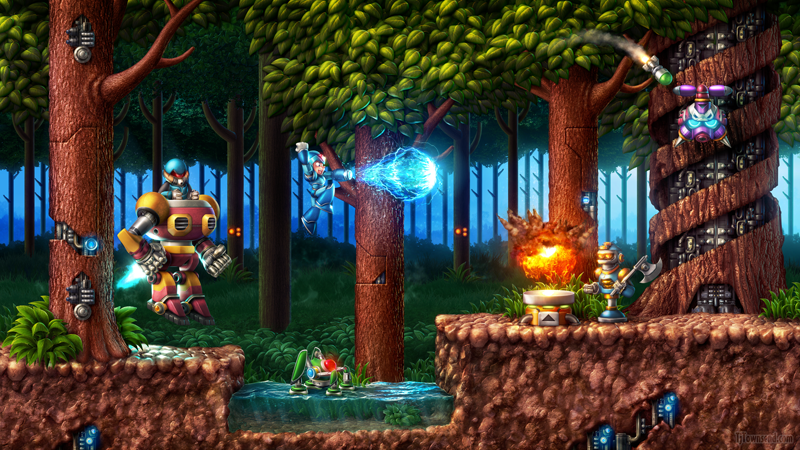 Artist TJ Townsend created a visually stunning high-def version of the SNES classic Mega Man X.
It’s a complete remaster of a screenshot from Mega Man X’s Sting Chameleon stage. Too bad it’s not a complete fan-game, but the pic is still a really precise one that took roughly 70 hours to complete. Here’s a speedy version of that 70 hours. Amazing Photoshop skills!